Just so we're clear, isn't a heatwave supposed to be singular? These surprise mini humid heat-waves that happy every other week are quite irritating. Why the extremities, Mother Nature? Amidst the heat extremes, my skin has been going a little crazy and I've been finding blemishes in places that they seldom appear! (ie. the lower sides of each cheek whereas they're normally located along my chin). I've always pressed the issue that skincare is extremely important, but even more so during times when you can't control your environment. For my skin during these humid heat-waves, a regular routine doesn't work and so I tend to mix it up frequently with different cleansers, masks and splashing water on my face whenever I can [more on this in a different post coming soon!]. To that effect, here are a couple of super high end skincare products I'm totally lusting after. I've heard they can basically perform miracles, wouldn't that be helpful during this time of year? A Japanese gem, finally reaching our West-Coat shores - or just my west-coast awareness, but once I heard about them and their instantaneous results I was hooked. Don't we all just want instant results when it comes to beauty anyways? 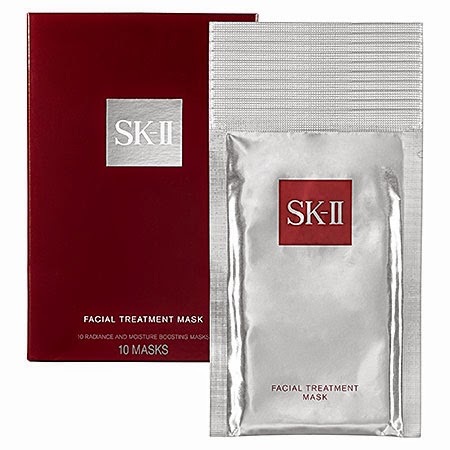 Specifically, I want to try the SK-II sheet masks: Facial Treatment Masks, one of the more popular SK-II mask types (or better advertised). Supposedly jolting the skin with hydration, vitamins and minerals and leaving you looking refreshed! This one's a quickie (3 minute mask) but a goodie. You can leave it on for longer if you wish, but it's supposed to plump up and make it look over-all amazing- a quick fix! Seems to be a great mask if you're feeling old and tired, like every working woman out there, as it tightens and help diminish the look of fatigued skin. Oh, Express Flower Gel Mask, how I want you. Is it a craving when it feels like a necessity? Have you ladies tried either of these brands/products? I've been dying to try SKII products. Everyone seems to refer to them as miracle-workers. 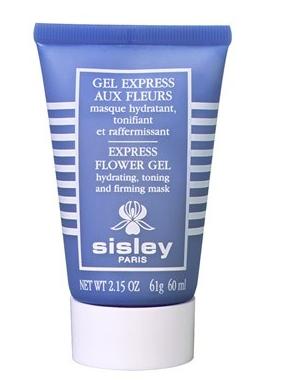 I don't think I've ever heard of Sisley, but I love the idea of a 3-minute mask. I totally feel you on SKII products! If i had a little extra money i'd get the Sisley mask, but that brand tends to be a bit more $$$.